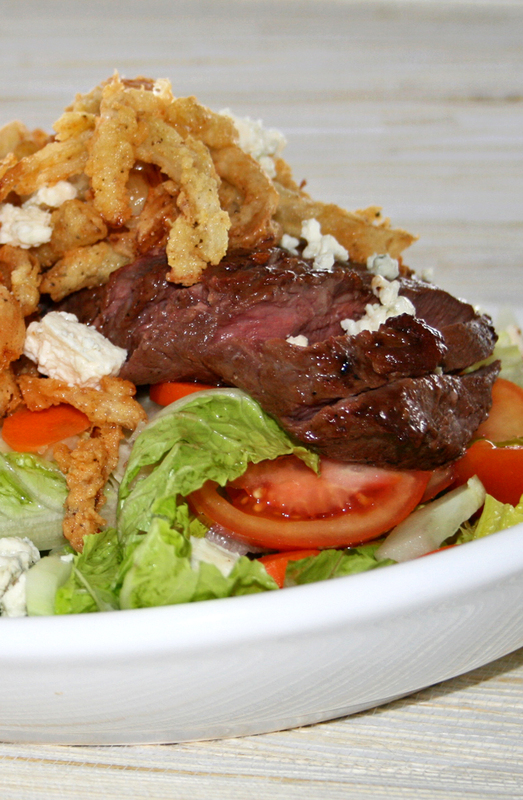 Steak Salad with Blue Cheese Crumbles and Onion Strings with leafy greens, marinated skirt steak and homemade onion strings. This is such a tasty salad and the steak cooked on the Kamado Gill was amazing. I marinated the steak for about 20 minutes but you could do it longer if you wish. I got started late and we were in a hurry for dinner. The star of the show were the onion strings. 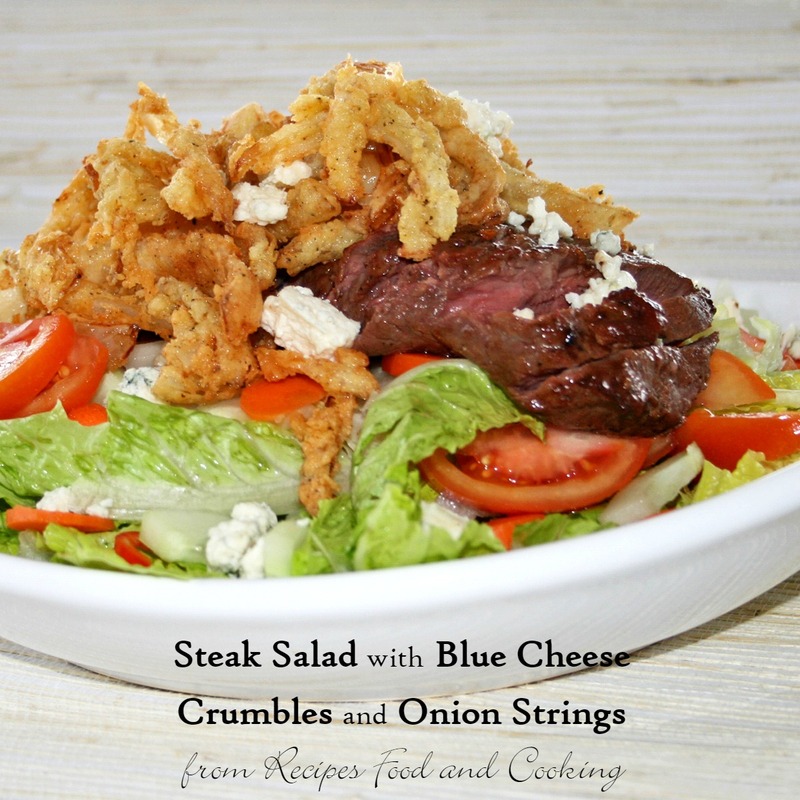 The onion strings were so easy to make, cut your onion up into thin strips and add 1/2 cup of buttermilk to them. Toss them in it for 30 minutes. I used a large sweet onion and got enough onion strings for 4 people. Next you add a cup of flour to a cake pan, add 1 teaspoon of seasoned salt and 1/2 teaspoon pepper and mix well. Add a cup of oil to a pan and heat to 350 degrees. Toss the onion pieces in the flour to coat and add a few to the oil and cook until browned. I used a skillet to fry mine and did them in 3 batches. Remove to a paper towel to drain. Start the onion strings. Start the Kamado grill and start a fire that will get to 500 degrees. Wash the lettuce and spin it dry. Cut up the carrot, tomato and sweet peppers. 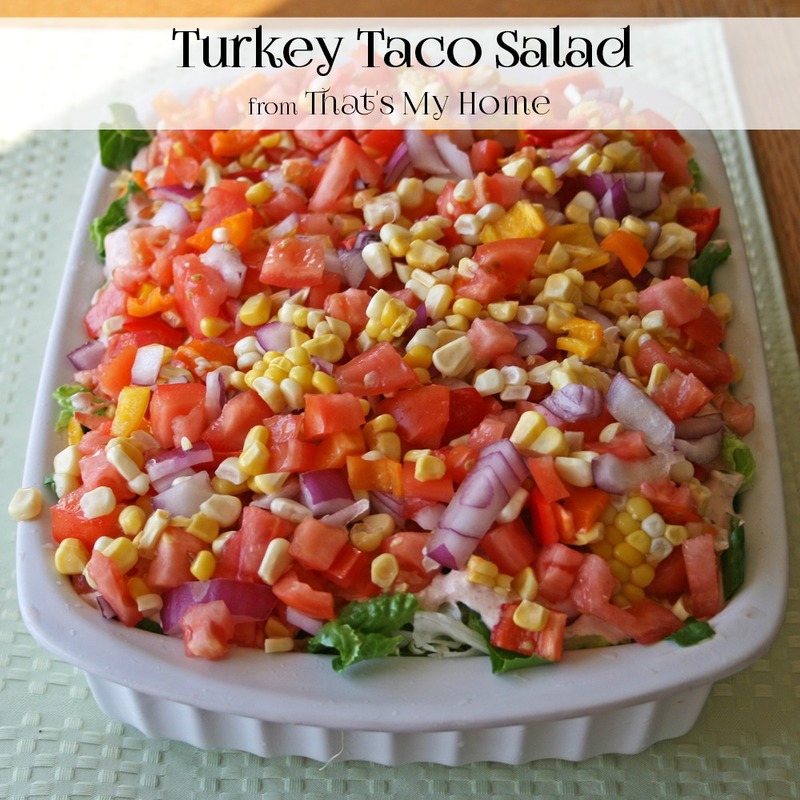 Refrigerate the salad until ready to serve. Place the steak on the grill and cook until medium rare, turning once. I cooked mine with the cover down and it took about 8 minutes. I had my vents set wide open. Let steak set for at least 5 minutes before slicing into thin strips. Toss the salad ingredients together. Place on a platter. 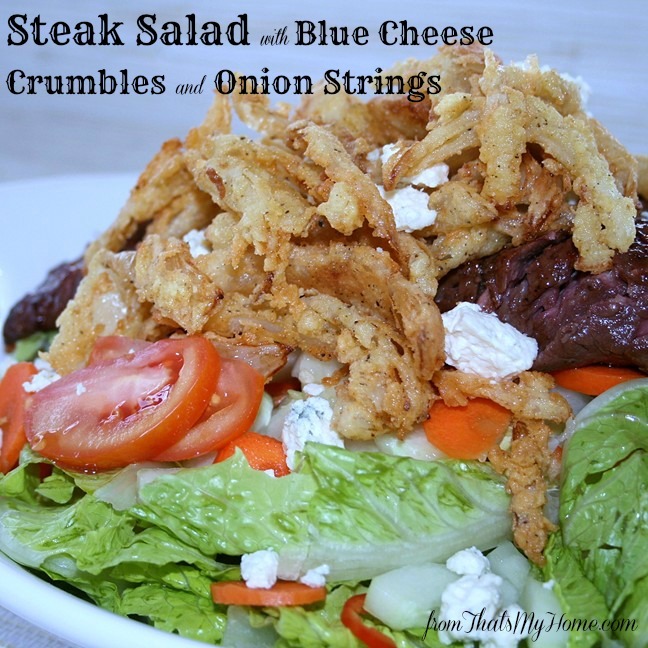 Top with the steak, blue cheese crumbles and onion strings. G’day! Your photo has me salivating right now! Wish I could come through the screen and try! How about feta? That was my second choice for it.